Well, let's hope I am back on my regular schedule. I am still fighting off whatever I have. I may end up going to the doctor. What I am doing now is not fixing things. I have however, learned a valuable lesson from this : Have posts in the bank! Seriously, I usually have plenty of material to work with, but this time I didn't. That left me with no posts and a quiet blog. I did not like that at all. But here's to hoping that I get better and that gets fixed!!! 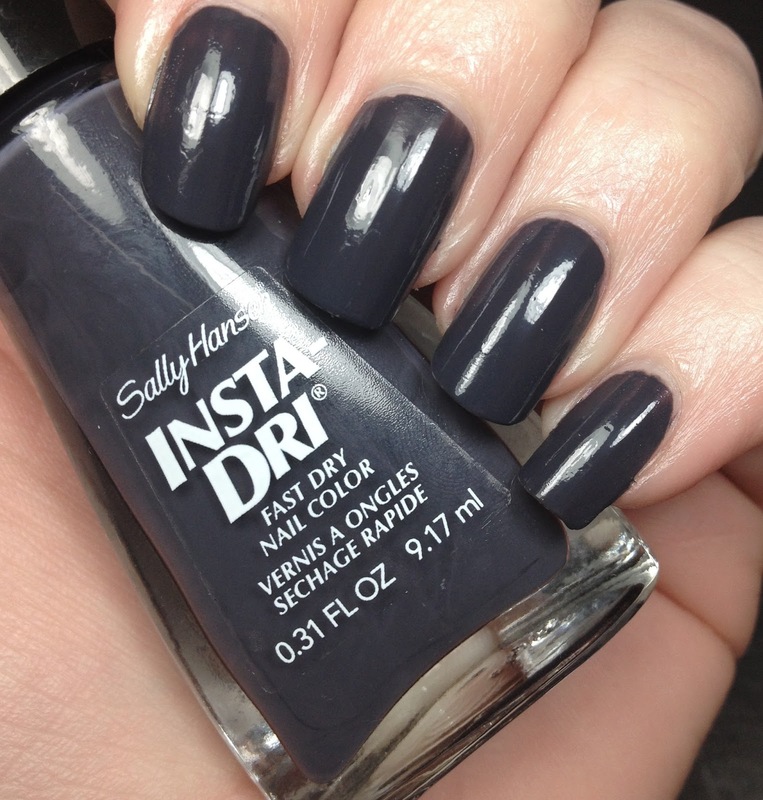 Today I have the second half of the Sally Hansen Insta-Dri polishes that I was sent. The same can be said for these as the others in my previous post. Good polishes and good application. Just an all around good line of polishes. 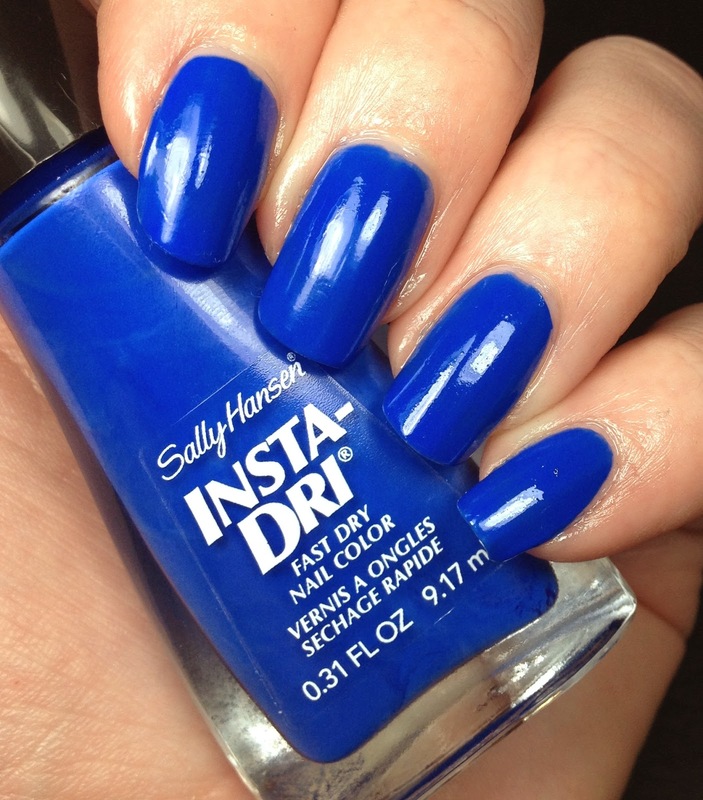 Which you would expect from a brand such as Sally Hansen. First up is my favorite, I-rush Luck. This is two coats alone. This is a perfect green. 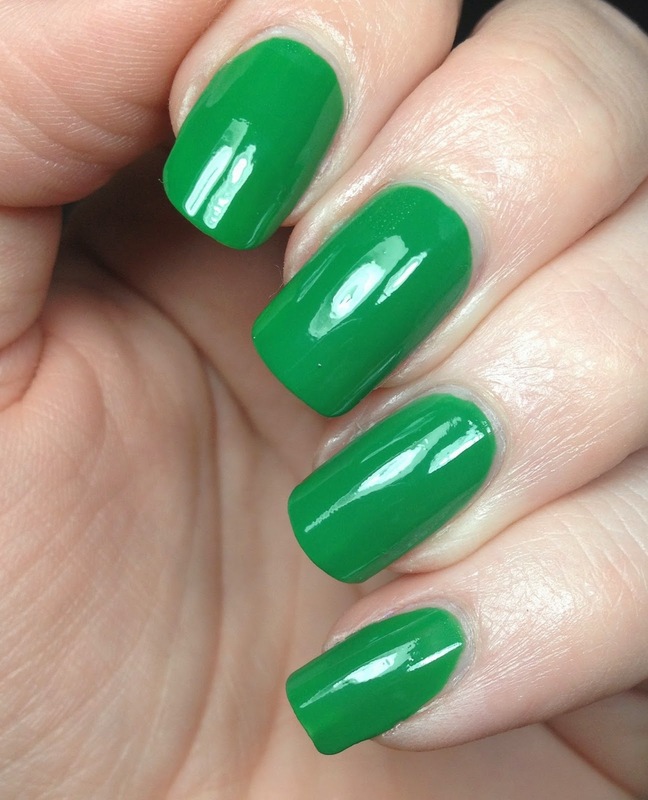 Would make the most awesome St. Patrick's Day manicure. AHHH, I just love it so much. Imagine this with some gold shamrocks on it!!!! This is Grease Lightening. 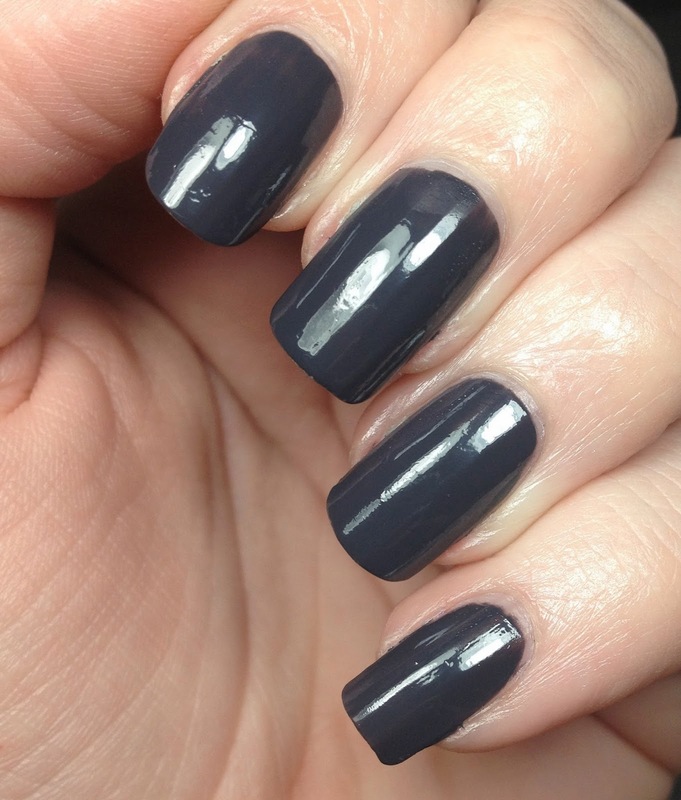 Grease Lightening is a lovely charcoal/slate gray polish. Why does this one look a bit different? Because this is only ONE coat. That's right only one coat. Obviously it's not going to be as flawless as two coats, because you can see my nail ridges. However, if you were in a time crunch then this would be great because one coat, quick drying and you can be out the door. I put this on last Sunday and I didn't take it off until Wednesday night. 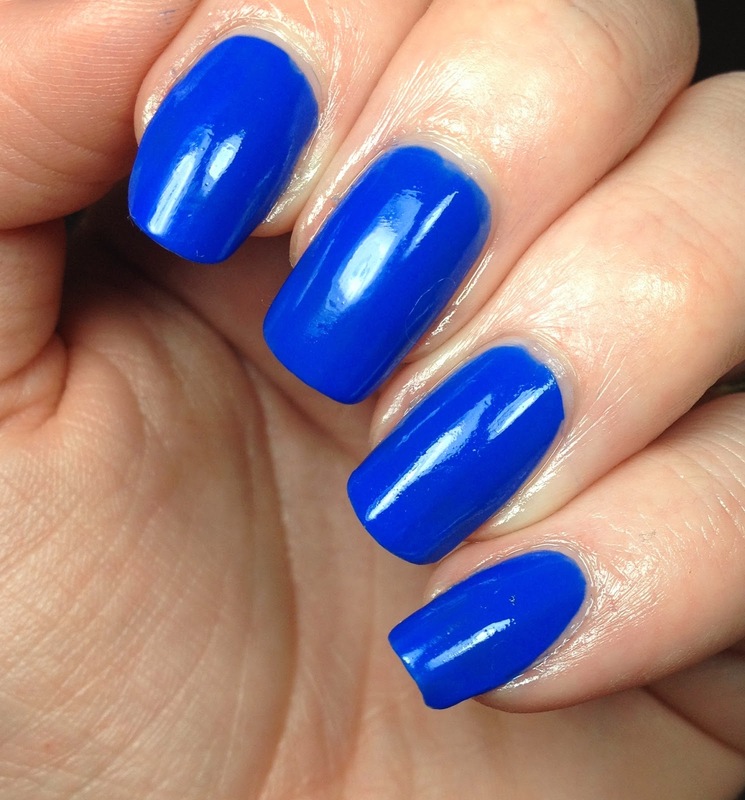 (I was THAT sick, I didn't change my polish) There was only minimal tip wear, which given that it was one coat is not that surprising. So there they all are. Overall I was impressed with the polishes that were sent to me. Aside from the two issues I mentioned (the light green being sheer and the chipping of the blue) they were all great. I feel like I need to go buy the other two just so I can finish the collection. 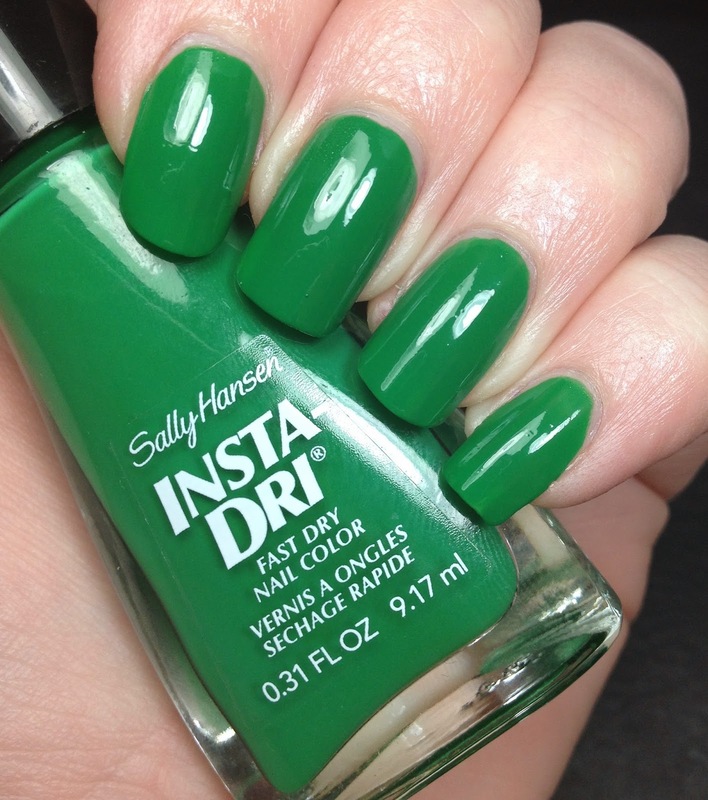 You can find these and a ton of other polishes from Sally Hansen at your local drug store and mass merchandisers. Great shades! Love my cremes too.